seed rpg foundation | "Fruit"
An interesting difference in table top rpgs* and story games** is their accessibility. To be clear I don’t think either style is more accessible, but each one is accessible and inaccessible in different ways. One thing I did at pax was try to talk to a designer who’s panels about rpg’s I have really appreciated. It was Sunday, and pax had drained me to the point where I was fairly incoherent, but the guy was still very nice to me, even still I felt a little silly for starting the conversation without a good idea of what to say. I think the spirit of the game design community is great, experienced designers are usually very open and sharing with new designers. It’s a tradition I hope to continue. I don’t want to complain about the work, I want to explain why cards are worth this effort. In his panels the designer I spoke with drove home the idea of player activity. No one at an rpg table is actually fighting a war or being an elf. They are reading a book, contributing to a story, rolling dice and writing on a piece of paper. The war and elfdom are the fictional action, not the player activity. While cards do not change the fictional action they dramatically effect player activity. Books as a form of entertainment are usually linear, and usually enjoyed alone. They can be discussed in groups but the physical arrangement of pages makes comparing two distant pages in a single book a little tricky, using books to play a game is a very specific kind of player activity. Take a look at something like trading cards. Cards don’t do linear stories that well, but it’s easy to compare information on two different cards. This is one reason why sports fans enjoy cards, they can look at a player’s stats on one card and compare them to another player’s stats on a different card. Using cards to play a game is also a very specific kind of player activity. This is just one small point to illustrate the differences between cards and books, there are many others. Trying to take a form of entertainment like an rpg and make it use cards brings up a lot of questions. 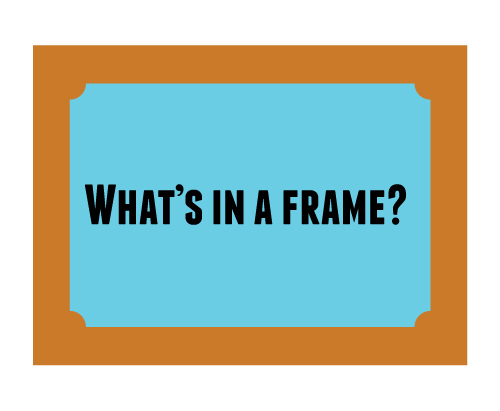 What information do you take out of the book and make into cards? How do the cards function on the table. Finally how do you organize these cards into sensible products people can actually afford? Most RPGs that use cards as content and even miniatures games that use cards still lean on the same book formats these genres were built on. This is fine but I feel trying to have it both ways is often more work and expense then is necessary or even enjoyable. Seed rpg does not lean on it’s rule book as a source for game content. The rule book is much like you would find in a modern board game, it’s only real job is to guide you for your first few games. The hart of the game’s content is in it’s deck of cards. Cards deliver enough content to inspire your stories. Cards make your choices clear and keep the rules accessible while in play. It’s this format that has inspired the whole of how SeedRPG works. 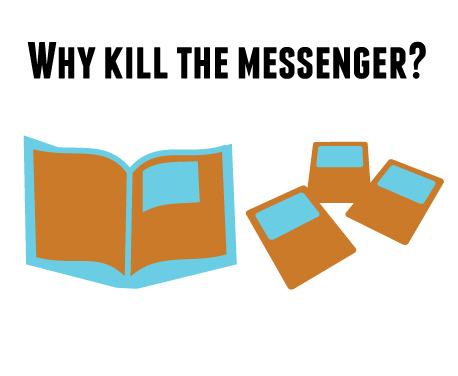 When it comes to player activity the messenger is the message. Some revile, some revere, others fear. RPGs tend to put dice front and center. Some games even name themselves after the dice they use or even that they don’t use dice! When I sat down to flesh out my own game I had one goal for my dice, “FUN”. But in pursuit of this goal I learned there are more to dice then just numbers, dice have feelings too. Take a look at this chart to see the mechanics of dice rolling in Seed rpg. These goals are all about the psychology of rolling dice and a few hard facts of game design. I’m going to say it right now, NO ONE WILL EVER ROLL INFINITY. But it’s possible and that’s all you need to know when you pick up the dice. No matter how hard the odds are against you it is possible to get what you need, you are never directed to roll uselessly. As for rolling zero, I wanted there to be tension even when the odds were heavily in your favor. Again you are never directed to roll uselessly. It’s always possible for everything to go wrong. Stable returns are very satisfying in a game where player investment is heavy. That sums up the theory, lets talk about the practice. Failure is quick, success is euphoric, everything else is tense as a razors edge. When your dice all come up ones and twos it’s a tragedy sped up to where it’s almost humorous, after such an awful roll you are left telling everyone what went so wrong, this kind of storytelling can actually be easier to make interesting then success. Getting the opposite of major failure is so rare that when it happens you revel in the chance to take up another handful of dice earned from the fives and sixes and add it to your roll, this action of adding dice to a roll extends an awesome moment, Savor that flavor! After so much rolling players generally feel confident enough to tell a story about how their character just did something awesome. What about the rest of the time when your rolls are simply average? That’s the best thing about this mechanic. if you roll 5 dice and get 4 failures but one five or six there is still a chance you can succeed, as you roll extra rounds of dice the tension builds. maybe you will roll well enough to get the best possible effect from a terrible initial roll? It’s always fun to find out! Lets talk more about the “average” roll. There are a crazy number of ways to roll any particular number. Meaning even if the results are extremely consistent your likely rolling a different series of die to reach that same number. This goes a long way to making steady dice rolls exciting, you never really notice how consistent and boring your dice really are. 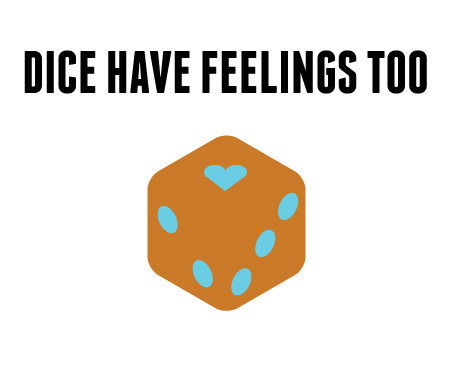 So next time you roll some dice, remember it’s not about the numbers, your dice have feelings too. When I sit down to playtest with an experienced role player there is something I need to explain clearly, this is how actions are choosen and resolved while playing SEED RPG. There are some foundational changes to this process because of how the game uses rules to inspire a story. A usual rpg follows the TELL, CHOOSE, ROLL sequence. The player will TELL the GM what they want to accomplish, the GM will CHOOSE what rules are in effect and then the player will ROLL to find the outcome of the story. SEED RPG changes this sequence to this, the player CHOOSES a game play option, ROLLS to find the outcome and TELLS a story that reflects the outcome of the action. 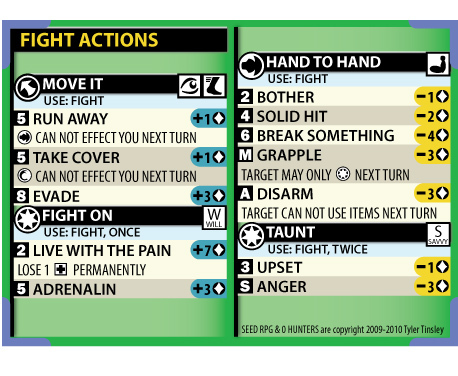 For example take a look at the actions available during a fight on this card. If it’s your turn you will usually have access to these four actions as well as actions provided by your items or traits. The name of each action is clearly displayed in the black bar, along with it’s action and die type (action type is the circle, die type is the square) . Under the black bar are the possible effects the action may provide. Now it’s your turn, the effect attached to “Run away” means the bounty head is immune to “close” action types (that’s what the funny symbol is for), so logical y actions like “hand to hand” have no effect against a target that is running away. You could choose to perform the “taunt” action, or try “moving it” yourself. But like I said you have a rifle. 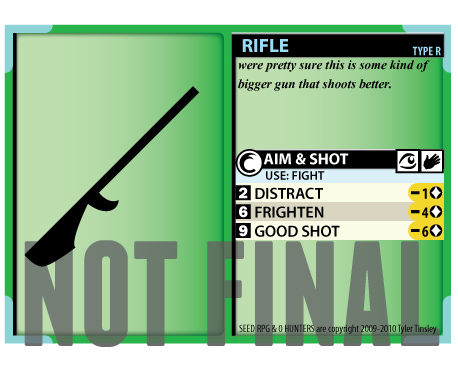 You pick the aim and shoot option and your dice roll well enough to get the “frighten” effect. It’s 4 damage to the target’s advantage. You could then narrate your turn like this “I see him run into the crowd so I take out my rifle and fire a shot into the air and yell “get down or get shot people, we’re bounty hunters!” the pedestrians drop down, leaving a clear line for me to take a few shots in the bounty head’s direction. One knocks off his hat making causing him to hesitate and trip over a cowering pedestrian” This cycle of “choose, roll, tell” continues to build the scene, until one side loses their advantage points. 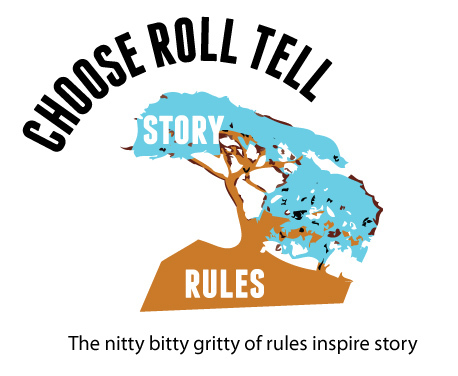 With “choose, roll, tell” the story is built around rules and effects. To accommodate this the rules do not try and model a particular time scale or realism, the rules are based around exciting character choices, and a system that models how stories are told. 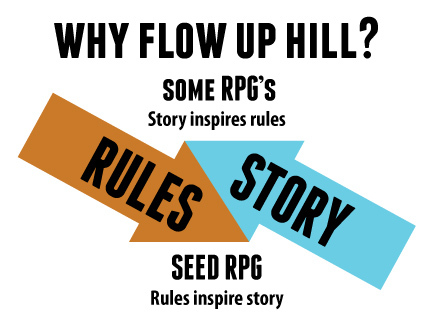 This is one way rules inspire a story with seed rpg. A defining feature of SEED RPG is the way each session begins and ends as a complete story. When you gather, the group chooses a plot for that session. A plot gives the session structure but it does not tie the game to a specific scenario, group of persons, places or things. Meaning each plot can be played over and over again without getting old. It also lends your stories great pacing that builds to a satisfying conclusion each session. Mechanically a plot is a series of choices and scenes. The plot is responsible for setting the stakes and influences how long each scene takes to resolve. As a practical example here is an outline for the choices and events of the bounty hunt plot and a few notes about what each choice or event provides. Lets players pick their reward for success. Reveals the groups motives and morality. Gm gets to create an interesting character and back story. Allows players choice but is still easy to prepare for. Gives a short break between the plot’s two longer scenes. Mechanically the choices made at the start of a plot help build a unique story each time the plot is played. As a designer I know exactly what gameplay resources are used while playing this plot and I can effectively balance the game while leaving the story for the players to create and discover. The plot gives me a whole lot of tools to control the flow of your game ensuring it’s always interesting. While I intend to have plenty of pre-made content in the game, the plot serves as a very clear guide if the gm would like to prepare content for their players. Preparing will always be an option, never a necessity. The plot is simply making rules from the way most people already play rpgs. “Tavern, Road, Dungon” is a classic plot line that many people use every time they meet for a game. When the game ventures away from this structure you find you have spent 2 hours simply buying equipment or philandering. Some groups will learn how to follow the plot and have years of great games together. Sadly some groups never learn this and will eventually stop playing. So making the plot a part of the game means we all get to play more and have to prepare less for each game! In some RPGs players think of a story and then find rules that fit the scenario. A great example are rules for an ambush or surprise. If the game master (GM) feels the story calls for using those rules then they will be put into effect. The story inspires the game play. Moving from story to rules can work if the GM is fair and the players are well-mannered. But even still the story can often run into situations where the rules don’t quite fit. Great GM’s can roll with it, making game design choices on the fly. Less experienced groups will often simply experience poor game play. Seed rpg Flows in reverse. The system has clear game play oriented choices. These choices are then explained with a story. The game play inspires a story. 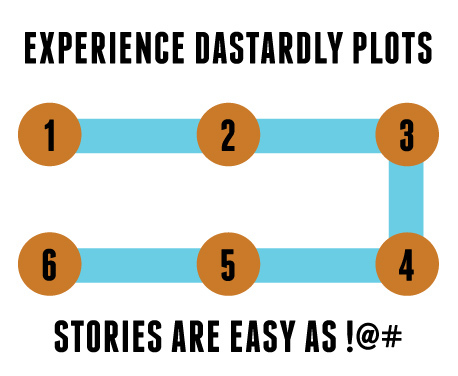 In theory this would appear to limit the potential of your storytelling, in practice the challenge of explaining game play results as a story is both fun and interesting. The flow of rules into story means the rules will never break at the hands of the story. A compelling game is ensured, with the right gameplay, fiction and imagery coming up with a story to fit is easy. You’re at the table to tell a story right? When you don’t have to worry about the rules breaking storytelling takes center stage. This flow is very common in new rpgs, if your interested in alternative role-playing games check out http://www.story-games.com/forums/ and ask for some recommendations!